Tints of Nature is the healthier way to colour your hair using natural and certified organic ingredients for stunning salon-standard results. Other hair colour products use harsh chemicals that damage your hair during colouring. Tints of Nature is different. We’re kind to your hair, and it shows. Our gentle and ethical products are made with a maximum of certified organic ingredients and a minimum of chemicals to create your happiest, healthiest coloured hair, ever. 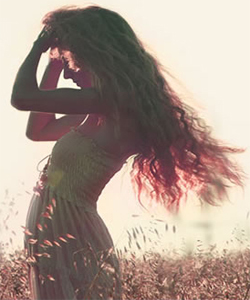 Tints of Nature is bursting with natural ingredients that nourish and protect your hair during colouring. And because your hair responds better to gentle, natural products you get happy, glossy hair with long-lasting colour locked in. Our products are safe and gentle on even sensitive skin. But we don’t and won’t test them on animals. We’re very happy to say that all our Tints of Nature colours are suitable for vegans and vegetarians. And so are the Tints of Nature Shampoos, Conditioners, Treatments and Seal & Shine products. Sulfate-Free Shampoo and Scalp Treatment both contain a milk derivative so vegans might not want to use these. All our products are accredited by Choose Cruelty Free – a non-profit organisation that promotes a cruelty free lifestyle. Accreditation by Choose Cruelty Free means we don’t test on animals and that no animals have been harmed in order to manufacture our ingredients or products. As a leading independent manufacturer of organic hair products, we’re passionate about providing exceptional products and exceptional service. Tints of Nature’s advanced formulation is designed by our hair care professionals for use in salons. But it’s easy to use. In a few, simple steps using our professional hair colour you can achieve salon-standard results in the comfort of your own home.